If you have ever been a part of an automotive forum or a car related Facebook group, you have probably read a horror story of a shop either never finishing the work on someones car, doing poor work to it, or damaging it. It is important that you understand what to do to steer clear of bad shops and what your rights are should anything ever happen. Please support us by viewing the original article at Right Foot Down - it keeps our lights on to bring you more great content! 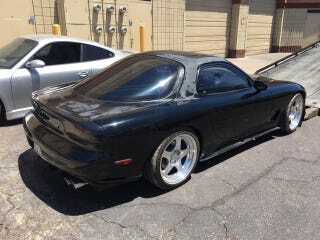 I haven’t posted any updates on my RX-7 for a while. Unfortunately, there is a reason for this. The car had been consistently falling behind schedule for its completion and, around June of this year, I thought that it had finally been completed. I arranged for a pickup through Intercity Lines and could not wait to get it back. Things did not go as planned. If you would like to see the story, you can check it out on the car’s Facebook page. The gist of it is that the car now has around $4,000 in damage that is going to need to be fixed. Rather than sit here and write a “woe is me” post and call on everyone to grab their pitchforks, I would rather tell you what you can do to avoid this type of situation. Find shops that others have trusted their cars with and have had good results. When you take your car to a shop to have work done, remember that you are not just risking the money that you are paying the shop, you are risking your car. No matter if you got a deal or not, do your due diligence in determining how trustworthy the shop is that you are dealing with. Saving a couple hundred bucks is nothing if you now have to pay thousands to fix something that happened to your prized possession. Does the shop have adequate insurance? Insurance is expensive, especially when a shop is dealing with tens of thousands of dollars of personal possessions. Some cannot afford the steep rates and may not be adequately covered. Make sure you know that the shop is insured, by whom, and what the coverage is. If something happens to you car, you don’t want to be the one on the hook. Not just the company but the owner and chief people. Ask around for reviews on the shop and if anybody knows the owner. Search online for any past history or reviews of the shop. Don’t just trust Yelp, Facebook or Google reviews. Is the shop a corporation or does it have a parent company that is a corporation? Many shops will at least be a LLC. A LLC means that the liability of ownership is limited to the assets of the business itself. If a shop is new or having financial difficulties, there may not be much that you can recover if you have to take them to court to recover damages. Don’t just expect that that will be a solution to anything that could go wrong. Remember, your car is usually worth a lot more than your bill will be. I’m sad to say this but do not expect that everything will always be fair or that people will always behave in good faith. You want to always make sure that you are covered should anything ever happen to your car and that you have remedies should anything ever go wrong. You want to make sure that there is a deadline associated with the work you are agreeing to and that its on the quote for work given to you. I have heard plenty of stories of cars falling into the void of the never-ending build because shops have sidelined them for other work. That deadline should have some sort of wording as to what should happen if that deadline is not met and make sure that it is in your best interest. Either they should be discounting the work or you should be able to get your car back with only paying for what has actually been already completed on it. Do not pay for work-in-progress. Of course, you don’t want to have your own insurance hit if something goes wrong but it is always a good last resort. The thing to keep in mind is that your insurance doesn’t want to be on the hook either. If the shop is who caused the damage to your car, your insurance can go after them for recovery and it won’t hit your record. ALWAYS get a quote for work done and always communicate via email or with written documents. If something happens, you want to make sure that you can produce records of what they charged you for and what you agreed to. Tour the shop ahead of time and see how they treat others’ cars. Ask questions. This sounds way to simple but it is a key thing to remember through all of this process. The worst thing you can ever do is delay making a decision and rely solely on hope that everything will work out in the end. We all want to believe that this is not happening to us and it will be fine in the end but that could just be more pain down the road. No matter the state of your car, if you are uneasy about what is going on, get it out of there. Remember, you are risking not just the money but the property itself. You will have to pay for the work done to the car but it gets your car out of there and allows you to move it to a shop you feel more comfortable with. This is your property and its your right to keep it safe. Good shops will keep you updated on the progress of your car. You are well within your rights to ask for an update on what has been done and if they will be able to meet the deadline put forth when you dropped it off. Most lawyers will give you some simple advice on what your rights are if you reach out to them. A quick back and forth email can give you an idea of what their recommendation would be on how to resolve an issue that you are in. Its much better to get them involved on the front end than after something has gone too far. Obviously, this is a last resort but it could end up being the only way you aren’t left on the hook for everything. I will happily admit that there are many good shops out there and the likelihood that you run into any major issues is quite slim. With that being said, you always want to make sure that you are protected and that you have done your homework. Spending some time on the front end could save you a lot of grief down the road. Remember, getting a deal means nothing if it costs you money down the road. Did you find this article helpful? Please share it!